Over the last 11 years I worked with 200+ film festival organizers to understand which kinds of films work (and which don't) on the festival circuit. 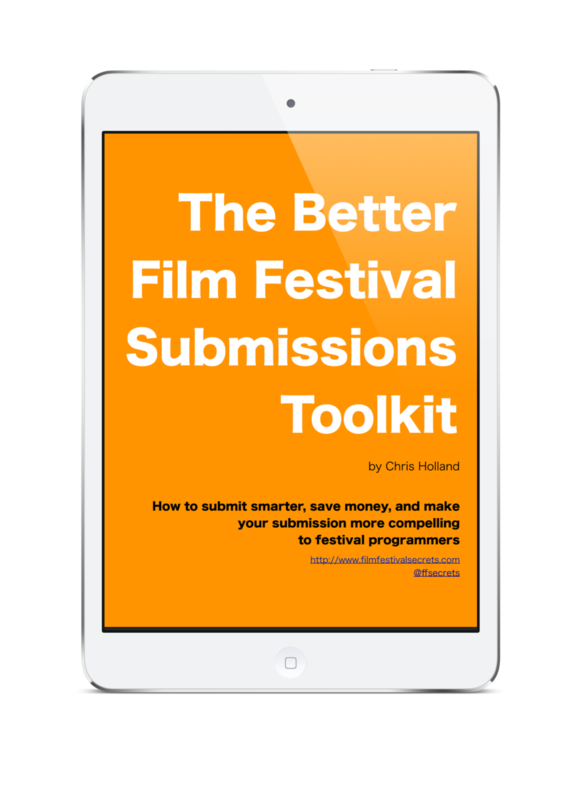 For less than what it typically costs to submit to a couple of film festivals, you can avoid mistakes that would cost a lot more. Want to know more about how each service works? Click the image or title to find out what's included, how long it takes, and more. You know what? screw Guesswork. Making a movie is hard enough. Imagine how much easier life would be if you could submit to festivals without feeling like you’re throwing your work (and your wallet) into a black hole. Maybe you've heard that "you have to know someone" to get your film played at film festivals. While that may not be strictly true, it's a fact that connections help. So does a working knowledge of the way film fests work. I've got both, and I do my best work when I use my expertise and my network to help filmmakers make sense of the festival circuit. Work with me and – hey, look at that. Now you know someone in the film festival biz. you can present a professional face to the film industry, even if this your first time around. You want to work with me because . . .
You want honest, constructive criticism that doesn't cross the line. If your film isn't up to festival standards, I'll tell you so without being mean. I may have some ideas about your film that could make it more attractive to film festivals, but at the end of the day, it's your art. I respect that. You don’t feel like you know the complexities of the festival submissions process. I've been on staff at four film festivals, two of them Academy-accredited. I've held (almost) every job there is at a film festival – from box office to operations to marketing to programming. I also worked at a distribution company, where I worked hand in hand with more than 200 different festivals (yes, including Sundance) to market films to audiences. As if that weren't enough, I've worked with more than 300 filmmakers, shepherding their projects onto the festival scene. I've been in the film industry for 20 years and specializing in festivals for the last 11. Simply put, there are only a handful of people on the planet who know as much about film festivals as I do. You don’t even know which questions you should be asking. There's a lot to know about the festival circuit, and it's a fair bet you don't know most of it. That's where I come in – I'll make sure you avoid the usual rookie mistakes. You want to work with someone who doesn't make promises he can't keep. The fact is, no one can guarantee that you'll play at a particular festival or that your film will play festivals at all. What I can promise is that you'll understand the reasons why your film might be struggling on the festival circuit, and the things you can do to give your work the best festival run possible. Do you need specific film festival help that isn't covered by one of the services listed here?